Have you decided to invest in cryptocurrencies but don’t know what is a ‘wallet’? Don’t worry, we will guide you. A Cryptocurrency wallet is like a bank account. It can store unlimited amount of digital currencies. It packages the cryptocurrencies into clearly marked sections to avoid any mix up. It also serves as a 24/7 balance checker to track when, where and how much was sent, received or added. There are several types of wallets. Each of them provide a different way to store and access your digital currency. Wallets can be broken down into three categories — software, hardware, and paper. Software wallets are further broken down into desktop, mobile and online. Desktop wallets are the most common type of wallet out there. They are downloaded and installed on a PC or laptop. They are only accessible from the single computer in which they are downloaded. Desktop wallets offer one of the highest levels of security but if your computer is hacked or infected with a virus, there is a chance that you may lose all your funds. Online wallets run on the cloud and are accessible from any computing device anywhere. While they are more convenient to access, online wallets store your private keys online and are controlled by a third party which makes them more vulnerable to hacking attacks and theft. Mobile wallets run on an app on your phone. You can scan other wallet addresses for faster transactions. They also make it simpler to access your coins on the go and use cryptocurrency as part of everyday life. Hardware wallets store a user’s private keys on a hardware device like a USB. Although hardware wallets make transactions online, they are stored offline which delivers increased security. 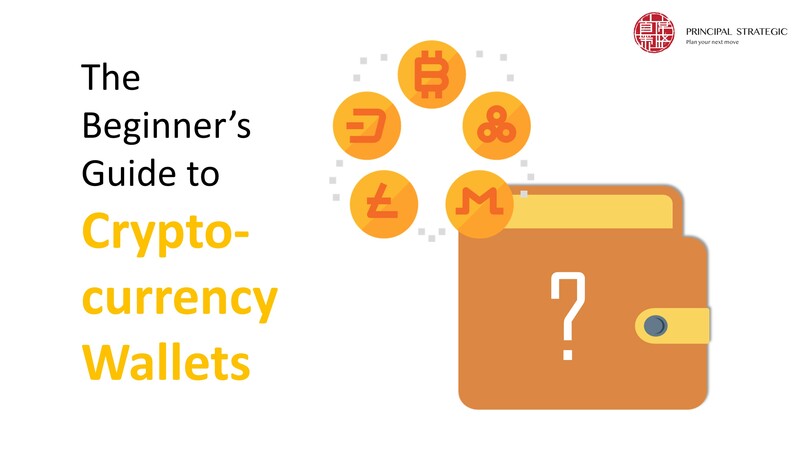 Hardware wallets can be compatible with several web interfaces and can support different currencies; it just depends on which one you decide to use. Making a transaction is easy. Users simply plug in their device to any internet-enabled computer or device, enter a pin, send currency and confirm. Hardware wallets make it possible to easily transact while also keeping your money offline and away from danger. Paper wallets are easy to use and provide a very high level of security. While the term ‘paper wallet’ can simply refer to a physical copy or printout of your public and private keys, it can also refer to a piece of software that is used to securely generate a pair of keys which are then printed. Transferring cryptocurrency to your paper wallet is done by the transfer of funds from your software wallet to the public address shown on your paper wallet. If you want to withdraw or spend currency, all you need to do is transfer funds from your paper wallet to your software wallet. This process, often referred to as ‘sweeping,’ can either be done manually by entering your private keys or by scanning the QR code on the paper wallet. You need to know how they work before you understand how to make your own cryptocurrency wallet. Unlike traditional ‘pocket’ wallets, cryptocurrency wallets don’t store currency (notice the irony). In fact, crypto don’t get stored in any single location or exist anywhere in any physical form. All that exists are records of transactions stored on the blockchain. The amounts sent and received as well as the public wallet addresses are all public information. Cryptocurrency wallets are similar to safety deposit boxes that we use to store our possessions. Like these safety deposit boxes, wallets also have a key, known as a digital key. To be able to spend the coins sent by someone and unlock the funds signed off from their ownership to your address, there is one criteria: match the private key in your wallet with the public address the currency was signed off to. Where can the Cryptocurrency wallets be found and how can you make a cryptocurrency wallet? So many wallets!? Which one should I use? You need to consider your needs and compare a range of wallets based on several key factors. We’ll show you how to choose your wallet in the next article. Stay tuned!